Your Luxury Experience Begins Here at Audi Temecula in Southern California! Audi has a motto: "Progress through Technology." It drives the Bavarian automaker to revolutionize automotive engineering and design perpetually, and the result is a luxury drive unlike any other. However, the turn of phrase means more than that. It's also a calling, one to deliver an unparalleled dealership experience to complement that of a premium vehicle, and one we share here at Audi Temecula. Whether you're in search of a luxury sedan like Audi A3 or A4 near Murrieta, a cutting-edge cabriolet, coupe or Sportback like Audi A5 near Menifee, a proven performer like the new Audi Q5 or Q7 SUV, a pre-owned model from one of today's many other well-regarded brands, or anything in between here in Riverside County, when you shop with us, we promise an unparalleled visit. Here on Temecula Center Drive, you'll find a team of knowledgeable Audi specialists ready to learn your driving habits, take stock of your needs, and help you explore your options, all to connect you with the vehicle that satisfies and moreover expresses your lifestyle. We offer an on-site auto financing center and a staff of professionals that work with a trusted lending network to help your dream become a reality. Whether you plan to apply for a car loan or sign onto a flexible Audi leasing agreement, we'll assist you in acquiring the rates and terms you need. We offer a range of rotating Audi finance and lease specials to help you save on a new car or SUV. You can even begin your application process here on the web, from wherever you're browsing -- it's as easy as filling out a form. Plus, across the many miles you're an Audi owner, we'll put our expertise to work to help you take care of your investment. Our Audi service center is a state-of-the-art maintenance facility home not only to the latest tools of the industry trade but also to highly trained and Audi certified car repair technicians, ready to deliver impeccable results the first time. Moreover, we utilize only Audi auto parts and accessories, so you can rest assured you'll be in capable hands. 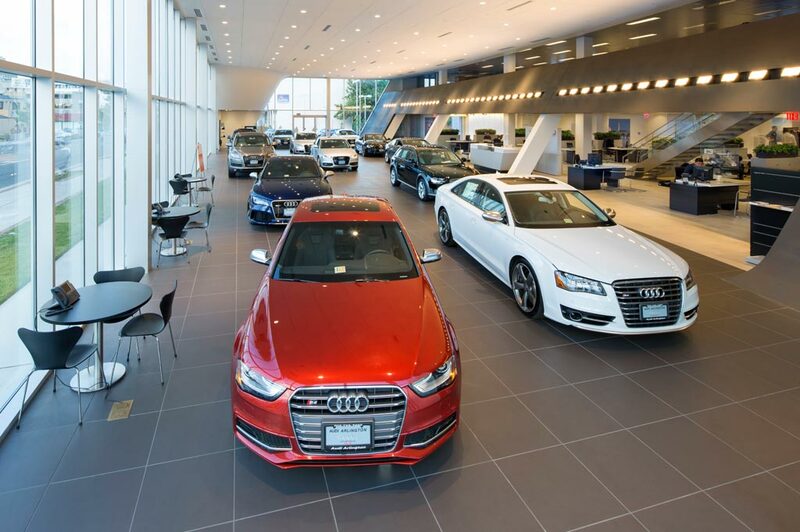 Audi Temecula in Temecula, CA treats the needs of each individual customer with paramount concern. We know that you have high expectations, and as a car dealer we enjoy the challenge of meeting and exceeding those standards each and every time. Allow us to demonstrate our commitment to excellence! Our experienced sales staff is eager to share its knowledge and enthusiasm with you. We encourage you to browse our online inventory, schedule a test drive and investigate financing options. You can also request more information about a vehicle using our online form or by calling (951) 200-8100.